Khem Raj Sharma is Assistant Professor of English in the Dept. of English & European Languages, Central University of Himachal Pradesh, Dharamshala. His areas of interest are Postcolonial Literatures and Translation Studies. 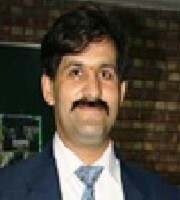 He has published research papers in various national and international journals. His PhD is a postmodern study on Toni Morrison and V. S. Naipaul.